My lovely clients had their baby via cesarean section on a rainy Thursday morning. 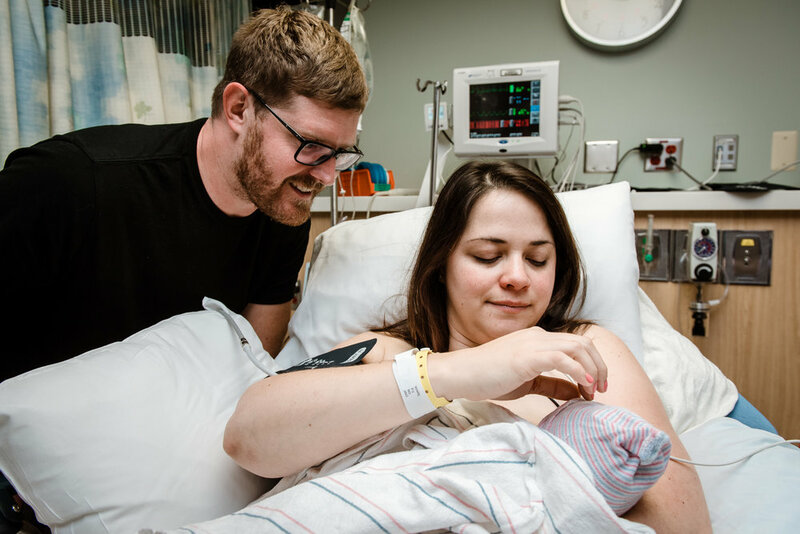 A combination of factors led to the decision to go in and get baby and one of my favorite things about the day was seeing mama's face light up when she was told that her baby was out bum-first and again when she heard that first sweet cry. 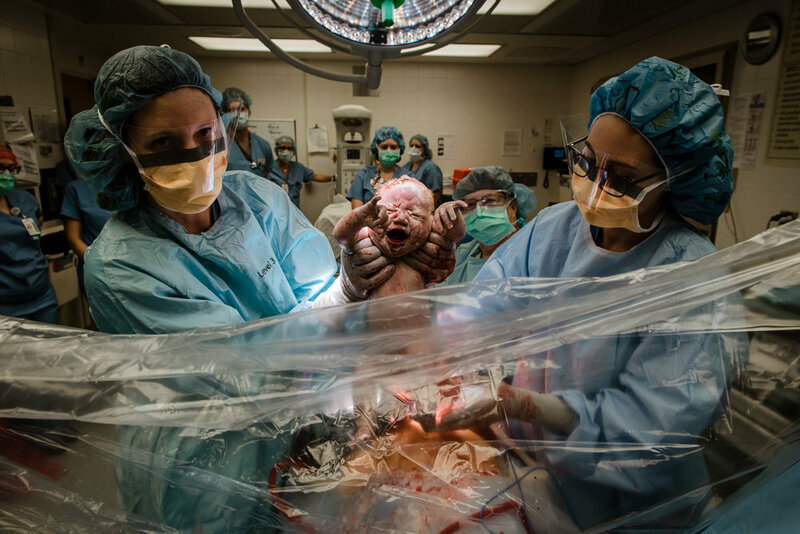 Due to the surgical nature of this birth, some of these images are a bit bloody and I considered adding a warning to the top of this post but I ultimately decided not to. Birth can be bloody. Life, especially the life of a woman, is occasionally bloody. I see beauty in these images and I hope you do too. Welcome to the world, sweet girl! We're so glad you're here! Book your Birth Story Session today!